Bonjour lecteurs! You know us, we love testing products and tell you our opinions about them. Well, if you are looking for a stroller that can get super compact, don’t look further! We have one for you! 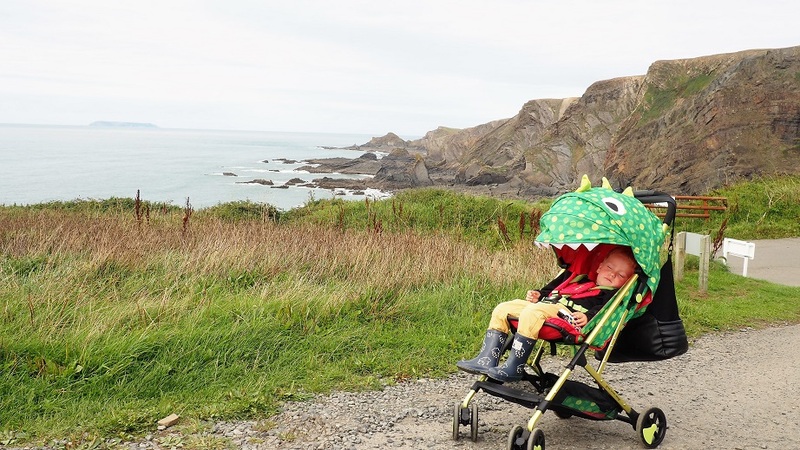 As we went away this Summer in Devon, Cosatto kindly sent us its super funky Woosh stroller to test in the country! 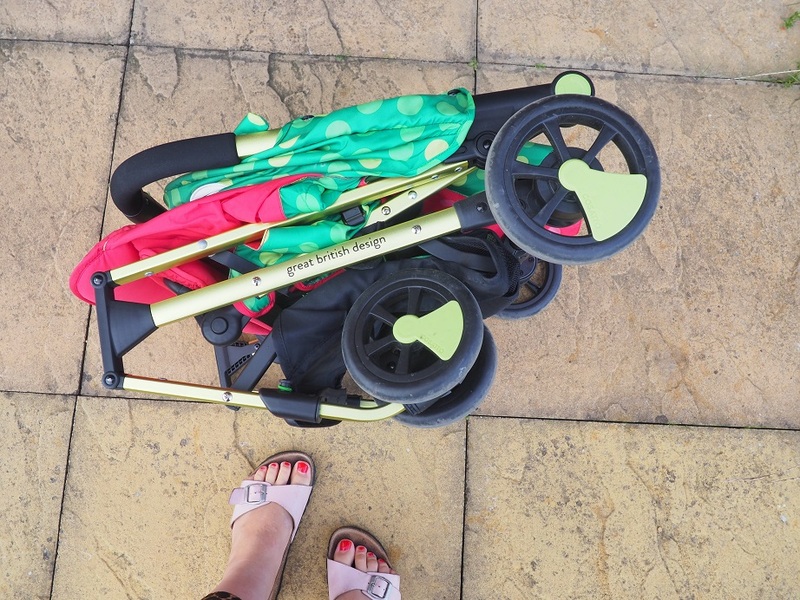 Here is for you now our very Frenchie Cosatto Woosh Stroller Review! I never travel light. So when we planned our Summer holiday, I knew I needed a new stroller that could fold as compact as possible. The Cosatto Woosh seemed ideal. Described as the compact from-birth pushchair with big solutions, it is suitable from birth to max weight of 25kg. With its aluminium frame and its funky design, it got our attention straight away. 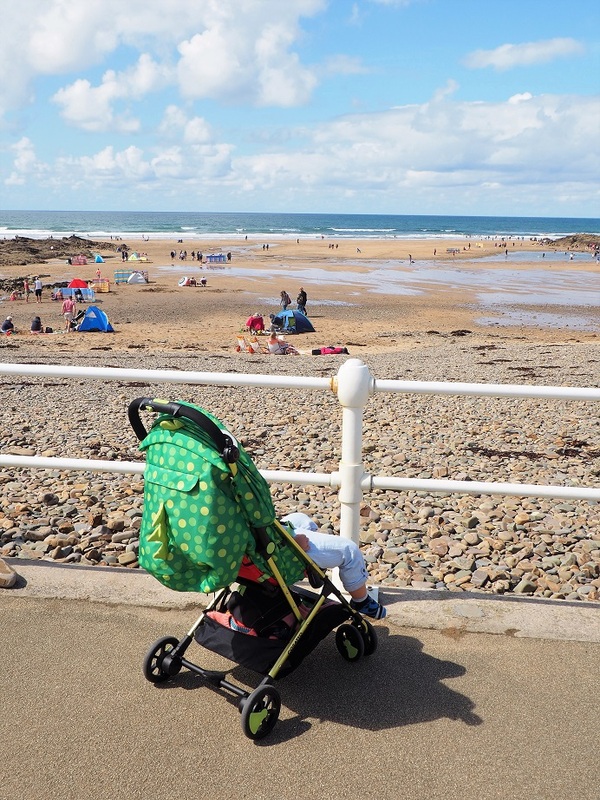 We tested the stroller in all kind of landscapes! Even further down west! I loved its style and how light it was while Baba was attracted straight away by its magic bell! All the wheels looked sturdy and easy to manœuvre. La surprise? The basket is quite big for a stroller and it has been very useful during our many trips in town! I loved it immediately! It was funky and compact, but I was worried that it was going to be a bit too light for Baba. Quelle erreur! Do not judge a book by its cover! The Cosatto Woosh Stroller is more than a pretty one with some cool design and fancy features! It lasts and it is strong! So we took it into town straight away! Direction the Outlet Shopping Center. Switch the handle (so simple!) and it is up. The other way round and you can fold it so easily! It took me a bit of practice to put it up properly the first time. Give it a good go. If you don’t, one side will collapse and it will not be enough secured for your little one. Easy to drive, I was happy to see that it was very resistant. More importantly, it has features that any parents will love: little pocket (for your phone), a good size basket (for your shopping) and bien sûr, the wow effect! I am not going to pretend. I loved all the attention we got because of it! It is so cool! We went for the Dino version as Baba is obsessed with them, but the brand offers some super trendy designs! Wanna know more? 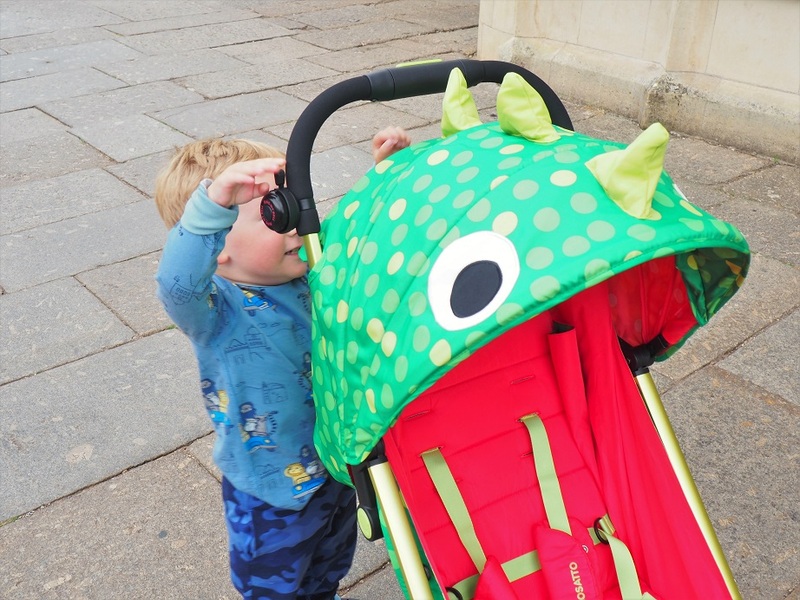 Here are 5 things we love about our Cosatto Woosh Stroller! 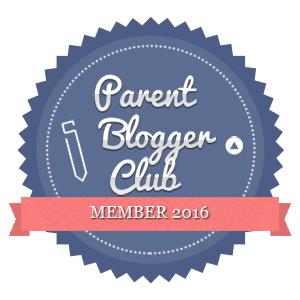 When you are a busy parent always on the go, you always need so much stuff with you! 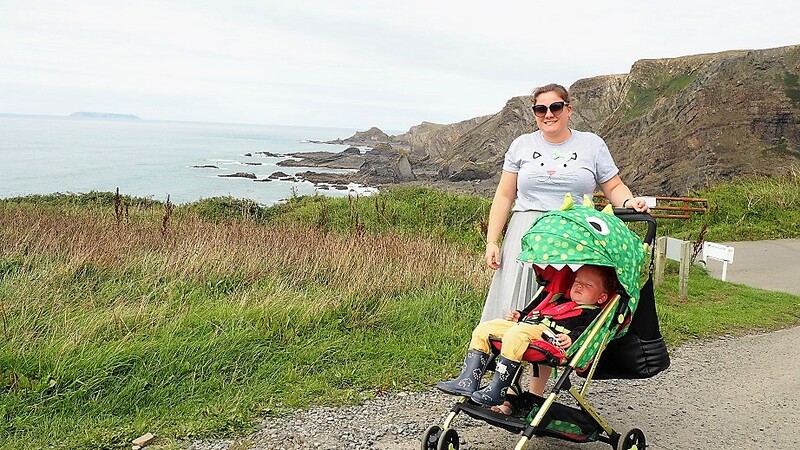 Our car was packed when we went away and the Cosatto Woosh Stroller was so handy. It is so compact and light you can easily carry it when you are out and about. Plus it doesn’t take too much space in the boot. Another time it became very handy? On the tube! I folded the pushchair in 2 seconds and off we went! A great ally to travel into town with! I grabbed Baba with one hand and the stroller with the other. No need to bother other passengers. The fact that it is lightweight doesn’t mean it is more fragile. It actually went a long way with us and it is still super solid! The aluminium frame is super resistant and Baba was at all times comfy in it! If that is not a good stroller… Look how peaceful he was! Easy to lift it with the bébé in it when I jumped in the bus or train, it was good and strong! 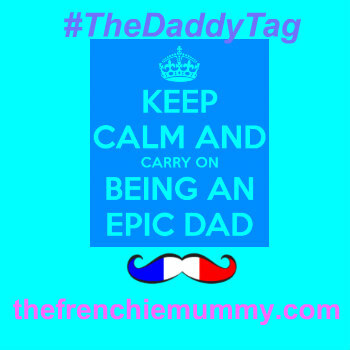 If you love a bit of attention (comme moi LOL), this will not disappoint you! This stroller is mega cool! 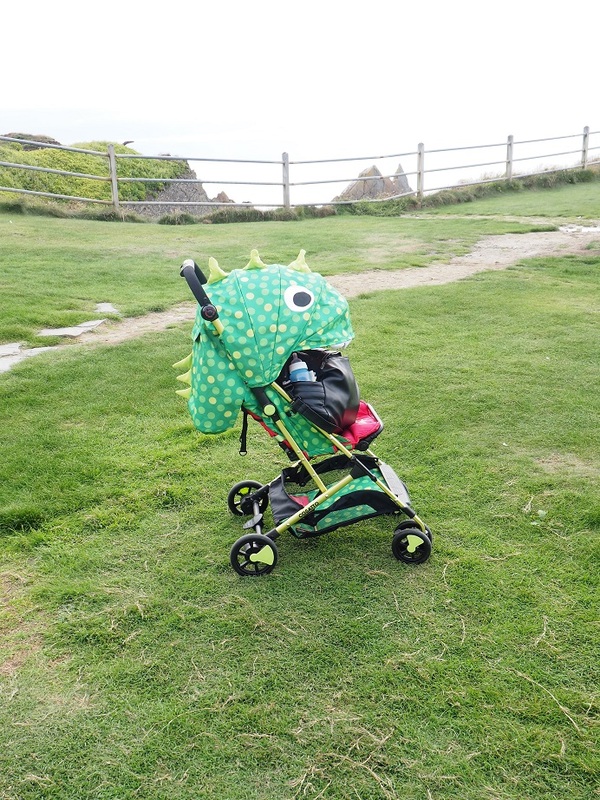 I heard many people whispering ‘What a cool buggy!’ and people even stopped us to get pictures to buy one! And we also got some attention… Not that I would complain about it! Plus its colours are so vibrant and funky! Its compact attitude is not the only cool feature. The wheels are super fab to manœuvre. I always avoided a stroller with 4 wheels and preferred a version with three thinking it will be better. But this one is super easy to use! A cat and a dinosaur. Who won? We tried it in some tight shops’ aisles and it passed the test! Small enough, it went fine and nothing fell on the way! Trust me, I am kind of an expert when we talk about shopping and some boutiques are so buggy unfriendly! The quick-release 5 point safety harness means your little one is secure. It might be light but is safe and comfy for your little one. The bell? Good to ring and warn bicycles and pedestrians we were coming up! Oui, oui, we beeped people! Just for a laugh! Plus so roomy too! With its adjustable calf support for little leg and the seat extended when you put it down, there is plenty of space to go to lalaland! If there is one thing that Cosatto knows, it is that parents want a pushchair that is easy to use on a daily basis with some cool attitude! Box ticked with the Woosh Stroller! 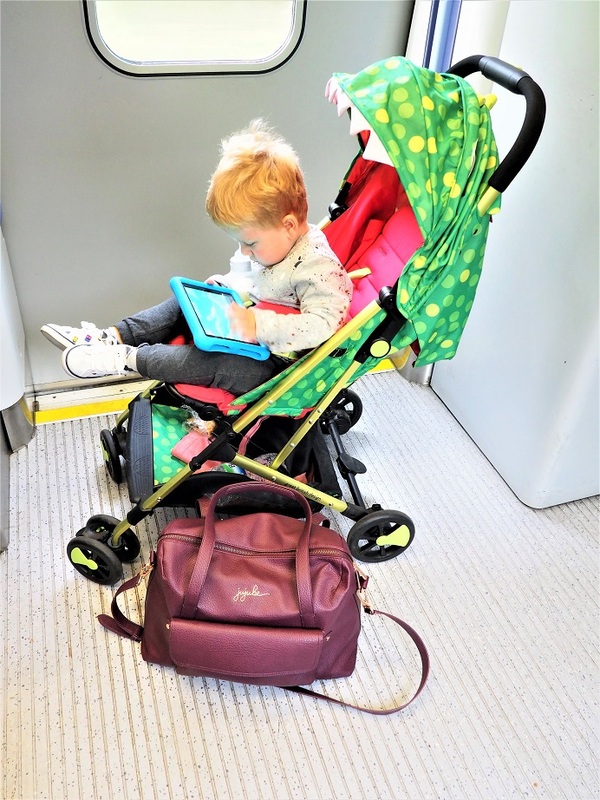 It is so light and compact you can use it every day while you can be reassured that your little one will be comfy and safe. Fab to use when you go away, it is also super cool in the city. Squeeze amongst the crowd with style and panache! The colours and designs are fun while each little detail is here to make your life easier! Are you looking for some buggy easy to fold with a bit of wow? This is yours! And if your little one is not a fan of the green creature, you can choose from so many cool prints! Have a look at Cosatto’s website! Plus, it comes with a 4-year guarantee, so enjoy! 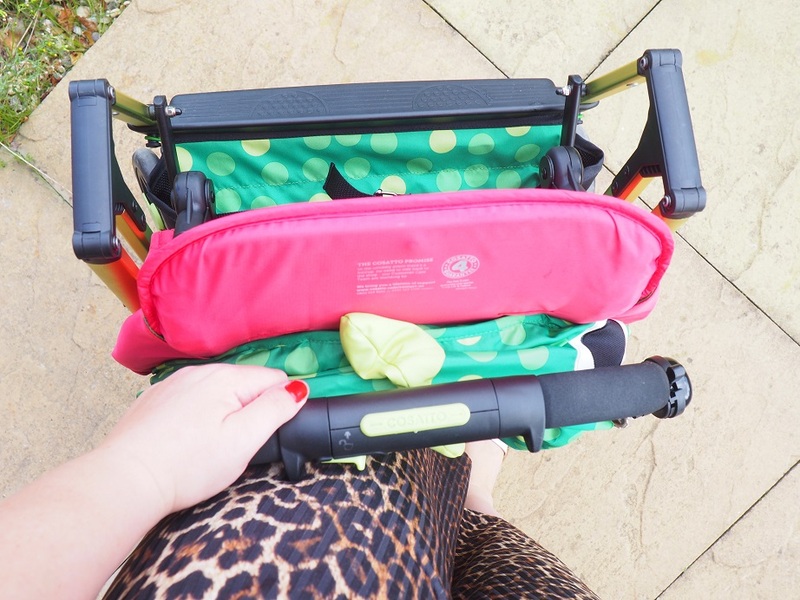 Such a fab portable buggy! And so facile to collapse and put up in seconds! Back to the boot now! To our future adventures! 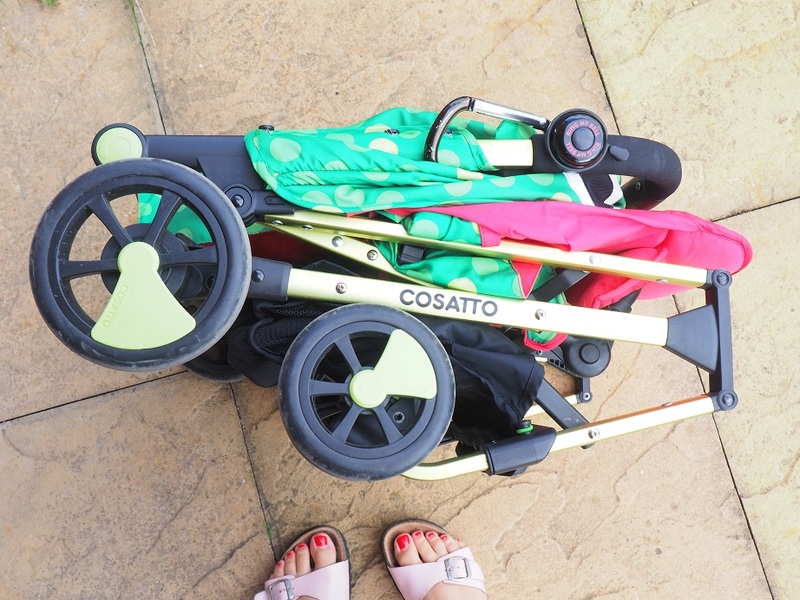 Thanks as always for reading our Cosatto Woosh Stroller Review! The brand knows for sure how to make parents’ life easier… and in a colourful way! 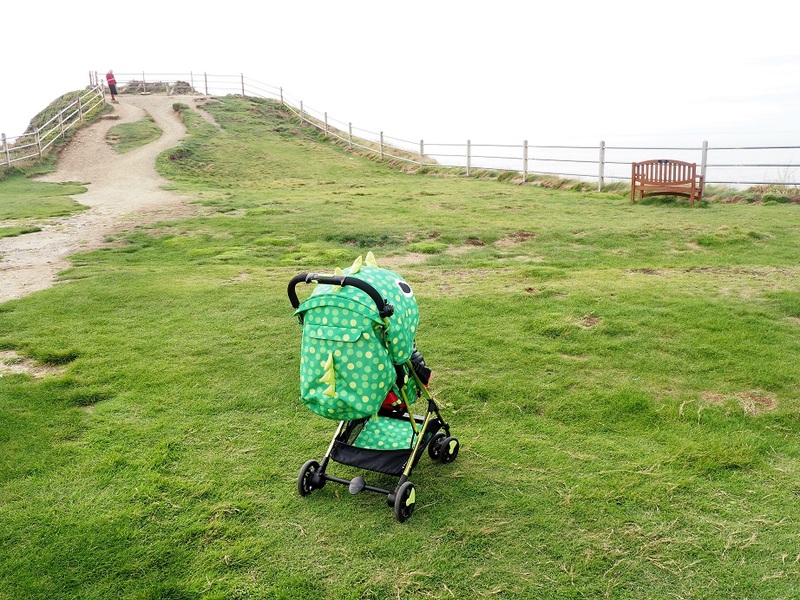 Disclosure: We received the Cosatto Woosh Stroller for free in exchange for an honest review. I am absolutely loving this stunning stroller! I love the unique and quirky design! Loving this – not only is it easy to use, safe and comfy, but it is sooooooooo cool! Wow I absolutely love this ? 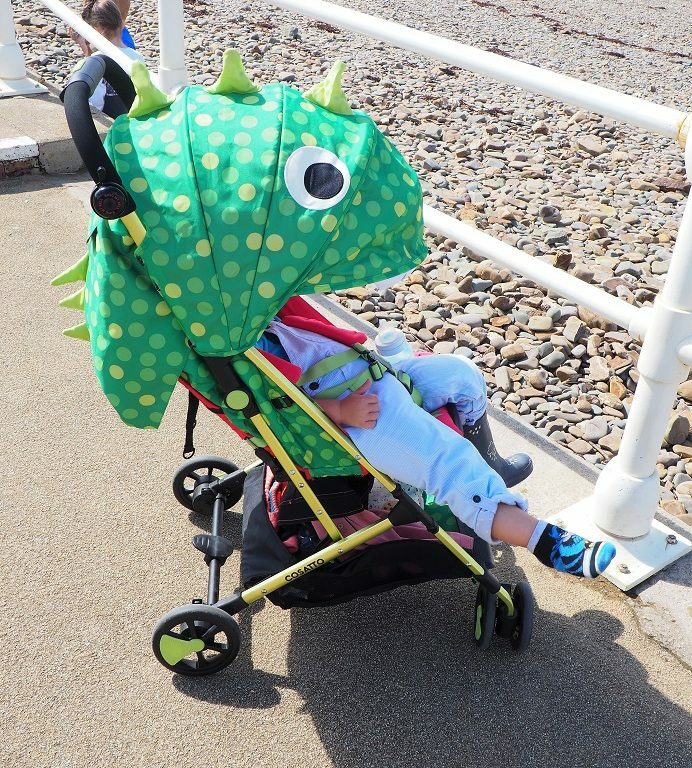 Such a cool pushchair. Nice and bright and happy and fun! A very useful pushchair. My granddaughter took one of these on holiday to Spain for my great grandson and she said it was a great buy. This looks so much fun but safe and comfortable too. Wow! I love this ? What a cool pram, I would think the design would make it more fun for kids to sit in. 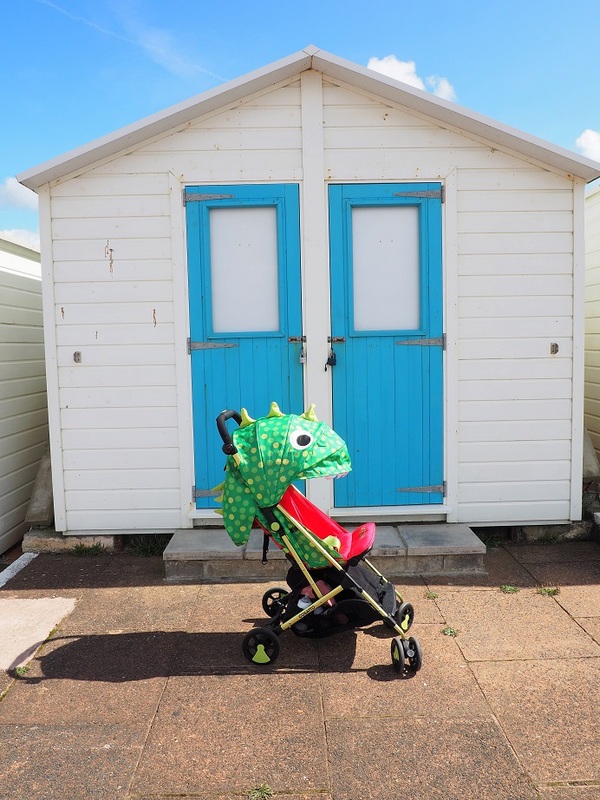 We are looking to move on from the big baby pushchair to a smaller easier buggy now my little one is growing up, love this buggy, especially the Dino design! Looks great fun. It folds up nice and small too. What a lovely collection of pictures you took! It looks like a great little machine! Great fun, it will make everyone you meet smile and that’s got to be a good thing. WOW! 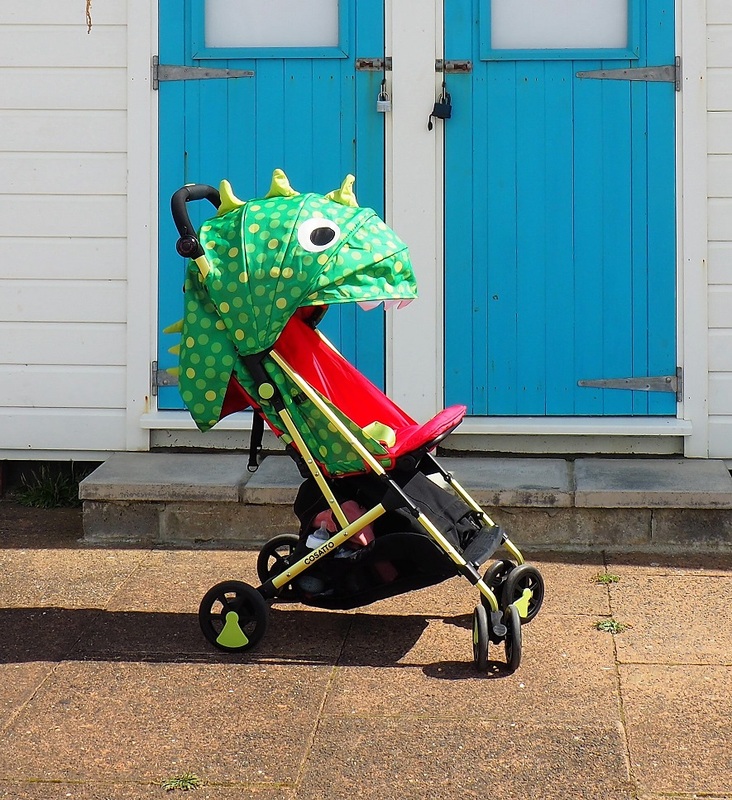 i love the look of this Stroller, very stylish, easy to use and very funky! this is fantastic! 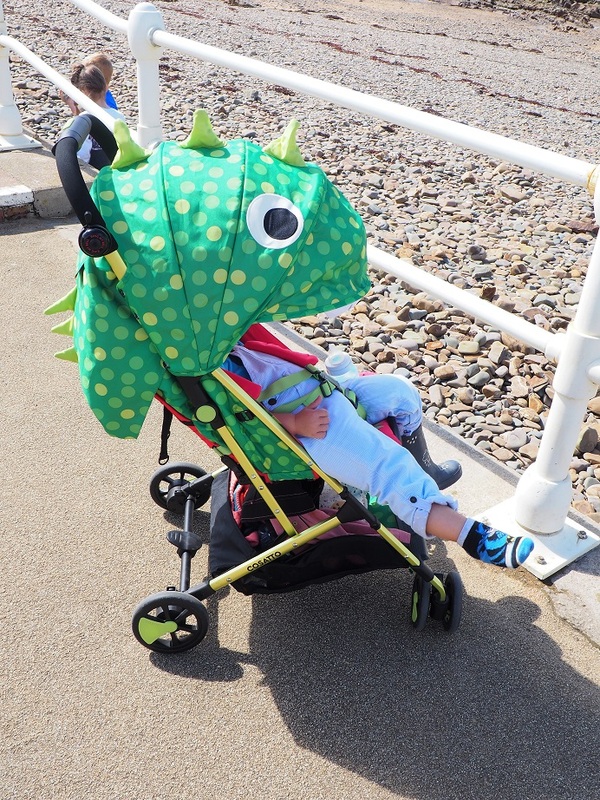 a monster eating pushchair, what kiddy would not want to ride in a monster mouth? I have the Cosatto Woosh! I was tempted to get that one, but I have the dragon kingdom one 🙂 I love how it folds down so small and it’s suitable from newborn! This looks a lot of fun, especially for a slightly older baby.